Daniel Goleman, PhD., has covered the behavioral and brain sciences for the New York Times and his articles appear throughout the world in syndication. His groundbreaking book, Emotional Intelligence, has sold millions of copies around the world, and the term EQ has become part of accepted vernacular. Dr. Goleman has taught at Harvard and was formerly senior editor at Psychology Today. His latest book, Destructive Emotions: A Scientific Dialogue with the Dalai Lama was published by Bantam Books in January 2003. Share Guide: My first question is regarding your term "emotional intelligence." You make a distinction between intellectual smarts and emotional smarts. Obviously this resonated with people quite a bit, because your book became a bestseller. Daniel Goleman: The idea resonated with people because it makes immediate sense once you stop to think about it. What I added was the scientific basis for making the distinction. The term "EQ," which is the colloquial shorthand for emotional intelligence, now exists as a word in Chinese and Brazilian and German. It really became a phenomenon, and I think it's because the time was right. We've had a century of overemphasis on academic abilities as the key to success in life, but that is only part of the picture. If your emotional abilities aren't in hand, if you don't have self-awareness, if you are not able to manage your distressing emotions, if you can't have empathy and have effective relationships, then no matter how smart you are, you are not going to get very far. Share Guide: Are you saying that a person's emotional intelligence is a larger factor in success than intellect? Daniel Goleman: That's not exactly true. It's often said that way, but it's a misunderstanding from my point of view. Share Guide: Okay, how would you say it? 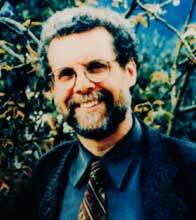 Daniel Goleman: I would say that IQ is the strongest predictor of which field you can get into and hold a job in, whether you can be an accountant, lawyer or nurse, for example. IQ can show whether you have the cognitive capacity to handle the information and complexities you face in a particular field. But once you are in that field, emotional intelligence emerges as a much stronger predictor of who will be most successful, because it is how we handle ourselves in our relationships that determines how well we do once we are in a given job. Share Guide: I think that is a good distinction. So things like focus, determination, and drive can allow people with average IQ to achieve more than a genius who is apathetic. Wouldn't you say this is what the self-help and self-motivation movement is based on-- making the best of what you've got? Daniel Goleman: Well, any effort to maximize your potential and ability is a good thing. Share Guide: There is a certain amount of intellect that people are born with, but emotional skills you can learn even at an advanced age. I think this is inspiring. It is never too late to improve yourself. Do you think that this knowledge can help us remedy what you call our "collective emotional crises?" Daniel Goleman: Yes--to the extent that we have to begin one by one, with ourselves, with our children, with the people in our lives. That's the collective activity that can have a maximum effect on things like inter-group hatred and intolerance, where people are so quick to fly off and react from rage and anger, rather than calming down and trying to work things out. These are the skills that the world needs now. In fact, there is now a global movement to teach these skills to children, so they get it right in the first place and will become better parents themselves, better spouses, better citizens. Share Guide: Emotions rise quicker than rational thoughts, right? So controlling quick impulsive reactions is very important, don't you think? Daniel Goleman: That's right. The emotional brain responds to an event more quickly than the thinking brain. The amygdala in the emotional center sees and hears everything that occurs to us instantaneously and is the trigger point for the fight or flight response. It is the most primitive survival response. If it perceives an emotional emergency, it can take over the rest of the brain before the neo-cortex (the thinking brain) has had time to analyze the signals coming in and decide what to do. That takes a long time in brain time. The amygdala in the meantime has decided, Oh no, I've got to do something! It can hijack the rest of the brain if it thinks there is an emergency, and it is designed to be a hair trigger. In other words, better safe than sorry. This has helped immensely in evolution as a survival mechanism, when you are answering the question: Does it eat me or do I eat it? You can't sit around and think about it; you need to have an instantaneous response. That's how our ancestors survived. Share Guide: So if you see something out of the corner of your eye, you jump almost before you know it. Daniel Goleman: Yes, and it might be a friend. We still have that brain mechanism from our ancestors, but now it can get us in trouble, because we live in a complex symbolic world and the amygdala is responding to perceived emergencies as though they were biological flags and it can pitch us into paralyzing fear, or rage, or high anxiety before we quite know what is going on. So the ability to pause and to not act on that first impulse has become a crucial emotional skill in modern lives. Share Guide: Right. Still, people often have a tendency to jump to conclusions. Daniel Goleman: Yes, you see it in marriage; you see it everywhere. This emotional skill is a universally useful ability, but it has to be learned because we aren't wired that way. The good news is that the brain is plastic throughout life--it is shaped through repeated training and experience. That means we can acquire emotional skills. Mindfulness is a good example--the ability to notice what is going on as it arises and to pause before we respond is a crucial emotional skill. Mindful meditation has been discovered to foster the ability to inhibit those very quick emotional impulses. Share Guide: I get that from practicing Tai Chi. Daniel Goleman: Right. You can only do Tai Chi mindfully; it's like a walking meditation. In my new book, Destructive Emotions, I describe some very important new research on that subject by Richard Davidson, Ph.D. at the University of Wisconsin, who teamed up with Jon Kabat-Zinn, the mindfulness teacher. They taught an eight-week mindfulness program at a very high pressure biotech company. What they found was that 30 minutes a day of meditation for eight weeks enhanced the capacity of the brain to catch those impulses and pause, rather than react. It also shifted people's emotions into a more positive range. It made them work better. The program was very successful. Share Guide: Would that be a seated meditation as compared to a walking meditation? Daniel Goleman: Mindfulness is a meditation that can be done while seated, walking or during any activity. Share Guide: So if you go for a tranquil half hour walk in the morning, rather than a seated meditation, to get mellowed out before your day hits you, that serves a similar purpose? Dr. Goleman: Not necessarily, because meditation is mind training. If during the walk you daydream, you plan, you reminisce, you listen to some music on your Walkman, you are not training your mind at all. If during that time, however, you are more disciplined and pay close attention to what you are experiencing, like the wind on your face, the smells and what you see, and you don't let yourself get lost in thought, that is mindfulness training--bringing your mind back to the moment whenever it starts to wander. Then you are actually acquiring that mental skill. If you do that kind of a practice regularly, with discipline, and you do it daily, you actually begin to reshape the brain circuitry for emotions and for perception in quite a powerful and beneficial way. In fact, Professor Davidson, whom I mentioned earler, is now looking at Olympic-level meditators, like Tibetan lamas. He's discovered that when people are in the grip of a distressing emotion like anger or high anxiety, there is a lot of activity in the right pre-frontal cortex which is right behind the forehead. When people are feeling very upbeat, energized, happy, optimistic, there is a lot of activity in the left pre-frontal cortex. The ratio of left/right activity in a person's brain when they are at rest predicts quite accurately their mood range, day to day. Just like for IQ, there is a bell curve for this ratio. Most of us are in the middle. We have good days and we have bad days. If you are extremely far to the right side, you are probably clinically depressed or have an anxiety disorder. If you are very far to the left, then when you have a bad mood, it probably doesn't last long; you bounce right back. One day an old Tibetan lama wandered into the lab and they hooked him up. He got the highest reading to the left. By the way, when Jon Kabat-Zinn introduced mindfulness to that bio-tech company, the people there were tilted towards the right originally. By the end of eight weeks of mindfulness training they had tilted to the left. What Davidson suspects is that there was what's called the "dose response relationship." The more you do the practice, the more the brain changes in that direction. Share Guide: So you are building up over time. Dr. Goleman: Right. I think that is true of any emotional skill. You asked before about self-improvement. This is a very pragmatic demonstration of what self-improvement can mean. Share Guide: What I was getting at is that the self-help movement seems very much related to emotional intelligence. Dr. Goleman: In general, that's true. However, I think there is something important to keep in mind for people who are exploring self-help methods. There is a difference between what is called a "State Effect" and a "Trait Effect" as it's called in psychology. You experience a State Effect when you go to a workshop--you feel great, that was so good! But there is a shelf life to that. By the next week, life has set in again. You're stressed about your job, your dog is sick, and you are arguing with your partner. That is the State Effect--it's great while you are in the circumstance, but alas, it doesn't last. The Trait Effect, on the other hand, means that you have embarked on a program of training the mind and training the heart in a systematic and prolonged way, which actually changes the neurology of your brain. And the more you do it, the bigger the change, and it will be there a year later, maybe even 10 years later. Share Guide: So if you develop habits you can maintain or re-capture that trait easier. Dr. Goleman: Yes. If you do Tai Chi every morning, or yoga, you are doing that with your skeleto-muscular system and perhaps your attention, if you are doing it mindfully. If you are doing mindfulness meditation, you are doing it with your ability to attend to the moment. However, if you are reading a book like The Power of Now but don't do anything about it, you may feel great while you're reading, but it is not going to help you in the next moment. If you do a practice and train your attention to hover in the present, then you will build the internal capacity to do that as needed--at will and voluntarily. Share Guide: You've written that people with chronic anxiety and high stress have double the risk of disease. How big a risk factor do you think stress is for heart attack, stroke or other serious illnesses? Dr. Goleman: I think it's probably in the same range as high cholesterol or high blood pressure. Stress is one of the multiple risk factors that can make things worse--or make them better if you can get that under control. We need to orchestrate our ability to manage our emotions. Especially the big three toxic emotions: anger, anxiety and depression. Otherwise we will just be victims of them. Share Guide: Does this have as much of an impact as smoking or a bad diet? Dr. Goleman: More or less. I don't know the exact figures, but stress can have effects in the same order of magnitude. Share Guide: So that means even if you don't smoke, go to the gym regularly and eat good food, if you're still uptight, that's not good enough, right? Share Guide: Chronic anxiety has been recognized as contributing to poor health. It seems to be pretty common in this society. How do you feel about the proliferation of prescription drugs like Prozac and Zoloft? Dr. Goleman: I am not against people taking psychiatric medications if they actually need them. The problems is two fold: at the present state of psycho-pharmacology, we are using a shot gun intervention. Nature economizes its use of molecules. It uses the same molecules for many, many things. It may use a molecule to grow hair, to raise your mood, to maintain your sexual function, and so on. When you regulate that molecule with a medication, you get a broad range of other things going on. That is the down side--the side effects. The other thing is that if you rely solely on medication to manage depression or anxiety, for example, you have done nothing to train the mind, so that when you come off the medication, you are just as vulnerable to a relapse as though you had never taken the medication. There is new data coming out of Cambridge University from John Teasdale, a researcher who has been treating people who have chronic depression. This is people with depression so chronic that medication doesn't help anymore, even elecro-convulsive therapy doesn't help. They still have recurring episodes of depression. Teasdale taught them mindfulness meditation, in conjunction with cognitive therapy. This is a non-drug intervention. The mindfulness lets you catch the thoughts that prime the depression. The cognitive therapy helps you to challenge those thoughts so that your thinking is more realistic and not distorted. What Teasdale found was these patients got 50% fewer relapses. In fact, if this therapy were a drug, pharmaceutical companies would be making billions of dollars! Luckily, this is something we can all do for ourselves. I think the smartest thing for people to do to manage very distressing emotions is to take a medication if it helps, but don't do only that. You also need to train your mind. Share Guide: If you believe the commercials, anytime you are stressed you should just pop a pill. What you described sounds like healing from within, rather than a symptomatic effect. Dr. Goleman: When I say manage emotions, I only mean the really distressing, incapacitating emotions. Feeling emotions is what makes life rich. You need your passions. Share Guide: You've written that anger seems to be one emotion that does the most harm to the heart. Do you think anger management and therapy should be added to the health regiment prescribed for heart disease patients? Dr. Goleman: Yes, and increasingly it is. Share Guide: And shouldn't more people pay attention to this before they have a heart attack? Share Guide: So if you tend to be uptight, that's a warning right there. Dr. Goleman: Yes, particularly if you have a short fuse, and get very aggravated and angry. It is a good time to get some anger management help--because statistics show that people with that pattern early in life are much more likely to die in their 40's and 50's. And it's interesting to note that it's not just from heart disease, but death from all causes. Share Guide: I do feel one of the goals in life is to lengthen one's fuse as one grows in age, like mellowing out as you get older. Dr. Goleman: Right, and that tends to happen. People tend to become more emotionally intelligent as they age and mature. Share Guide: We've all heard about the power of positive thinking. Do you think that people can heal themselves with things like creative visualization, self-hypnosis, positive attitude? Dr. Goleman: I'm not sure. I'm not necessarily an advocate of those modalities. I think that there is a real need in the self-help area in holistic medicine to do well-controlled studies and document results, because people deserve to know the truth about what works and what doesn't work. I think there are real treasures out there, but it can be confusing. It's worth saying that 30 years ago when I was a graduate student at Harvard, I did a dissertation on meditation as a way to handle stress. People thought I was completely nuts! There was no way that something as weird as meditation was going to help anybody. Now the amount of data supporting the uses of meditation in the health context (and well-being in general) is irrefutable. So just because something doesn't have validation and may be very new, doesn't mean it isn't quite good. But you really have to be discriminating. Individually, we can't do a study, but we can investigate, we can explore, we can be a little skeptical as we inquire, and not be too gullible. I think one thing we can do when we shop around is to see if there is anyone we can find who has been helped, and also look to see if anyone has been hurt. And don't just go on one glowing report, but probe more deeply and get a more balanced view. Share Guide: I have always been drawn to more ancient traditions, because they are time-proven. And speaking of this, your new book, Destructive Emotions, is a dialogue with The Dalai Lama, correct? Dr. Goleman: The book is a dialogue between The Dalai Lama and a group of scientists about how we can better handle our destructive emotions and how to overcome them. The Dalai Lama seems to challenge the scientists by saying that Buddhism and other ancient traditions have developed very powerful methods for mastering destructive emotions that have been tried and tested over centuries. If these can be of help to people, he wants to share them as widely as possible. So The Dalai Lama asks the scientists to study them very rigorously and if they validate them and show that they work, they should be taken out of the religious context and shared as widely as possible to help relieve suffering. So these scientists have taken that challenge quite vigorously. The first round of research was amazing. For example, they found a lama who could suppress a startle when hearing a gunshot. I thought that was always an involuntary reflex that could not be controlled. They also found that highly adept meditators were extremely precise in being able to read emotional states in other people, at a level ordinarily never seen. The first round of research with meditation masters was so intriguing from a scientific point of view that they set up a meeting of The Dalai Lama and an "A List" of scientific researchers (people from Harvard, Princeton, and Berkeley) who are going to discuss where research should go in the future. They want to focus in three areas: attention, visual imagery, and emotion. This is a change in terms of how these ancient spiritual practices have been regarded from a scientific point of view. I think that it's an extraordinary opportunity for science for the first time to learn about the positive potential of these traditions.